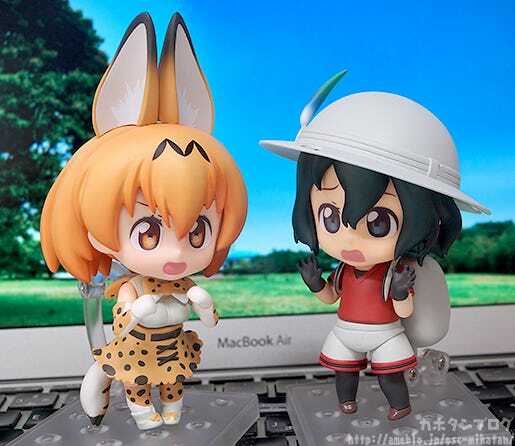 From the anime series that captured the hearts of young and old fans alike “Kemono Friends” comes an adorable little Nendoroid of Kaban-chan! 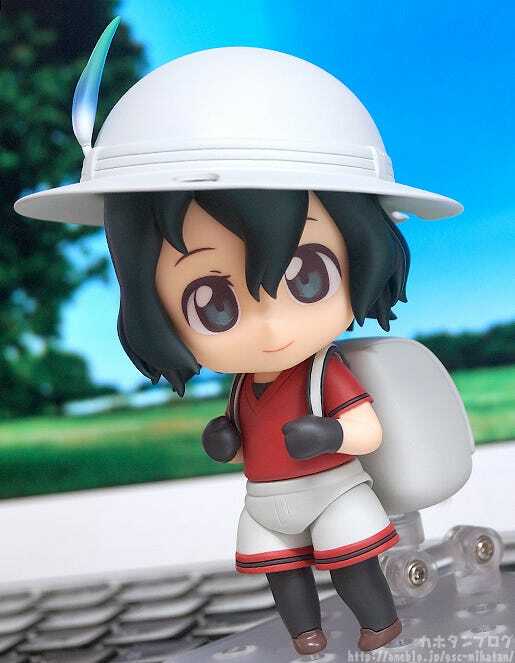 The large bag on her back, iconic feather in her hat, her slightly messy looking hair and even her baggy shorts have all been shrunk down carefully to Nendoroid size! 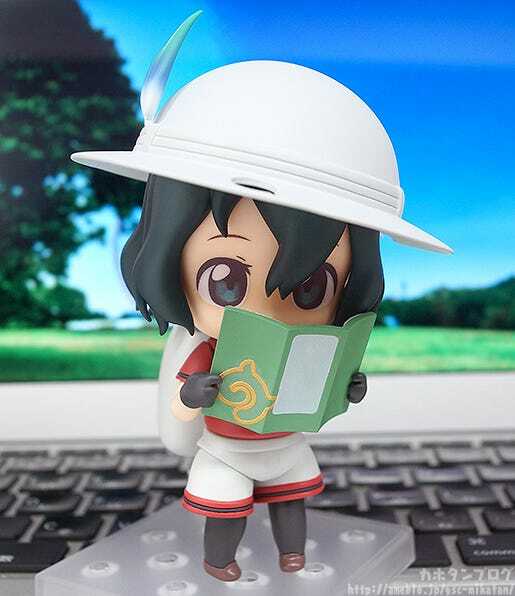 Special hands to display her holding the map are also included for the cute pose you can see above! 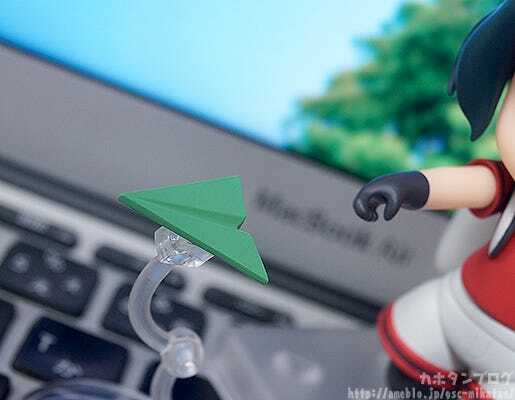 The anti-Cerulean paper airplane seen from episode one! 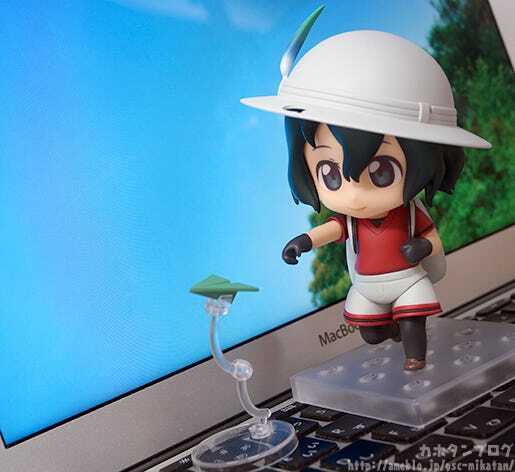 It comes with it’s very own stand allowing you to display it floating through the air as if just thrown! 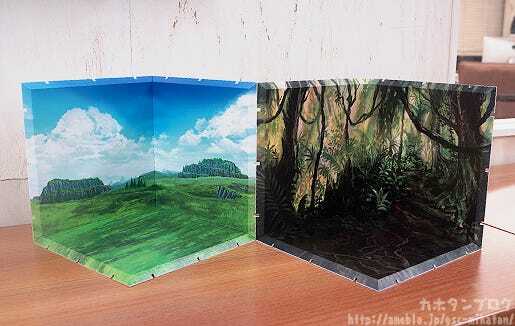 Next, let’s take a look at her other face plates! 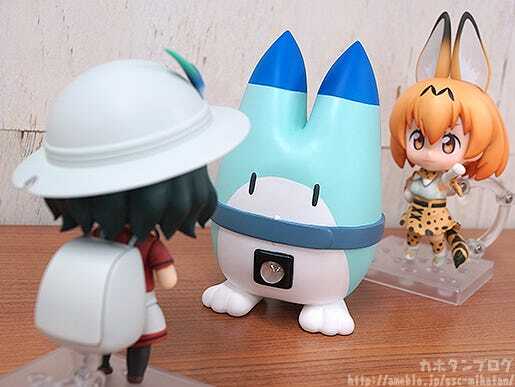 Kana-chan is adorable all by herself, but recreating the adventures with her friends makes it all the more enjoyable! Moving onto her third face plate… a cheerful smiling expression! 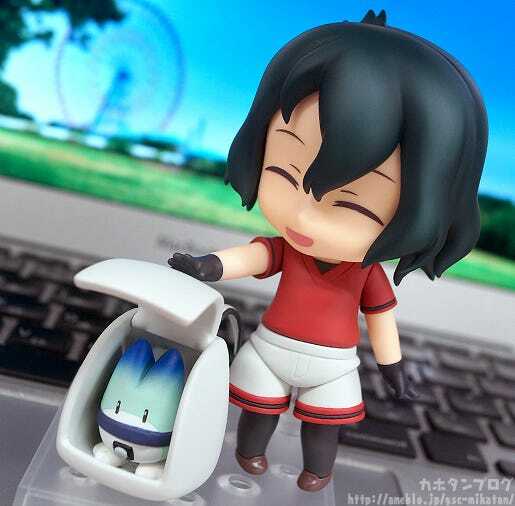 Can even fit inside of Nendoroid Kaban-chan’s bag! Not to mention the bag can open and close! 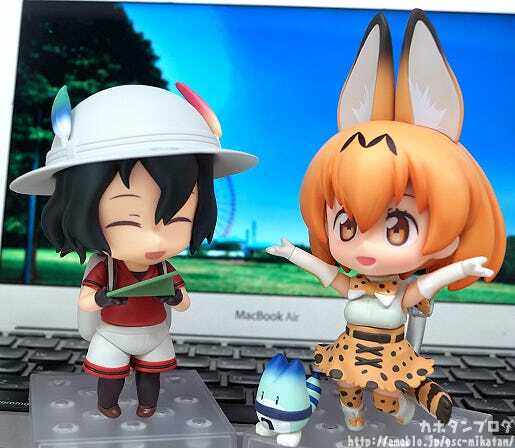 Be sure to add the friendly explorer to your collection! 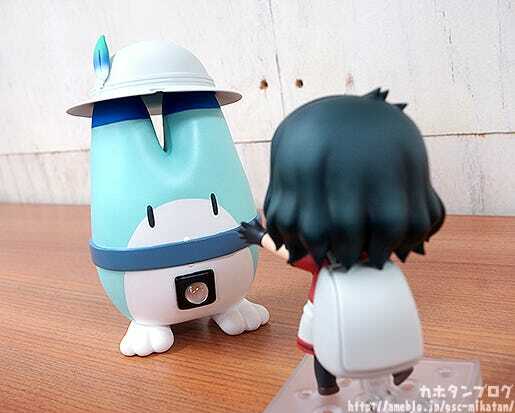 In addition, purchases from the GOODSMILE ONLINE SHOP will also include an Arm Part with Lucky Beast (Final Episode Details) + Bare Left and Right Hand Parts as a bonus! 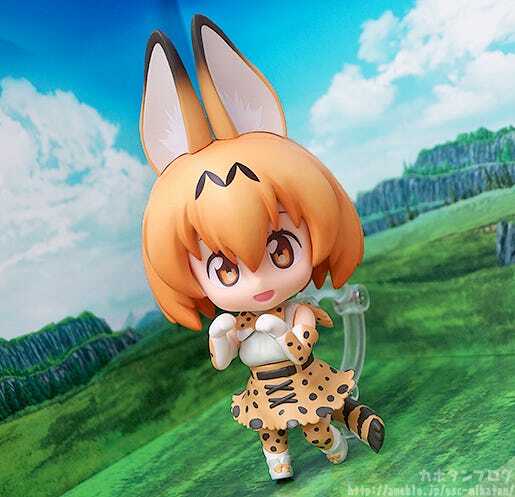 This Soft Vinyl Lucky Beast from AQUAMARINE will also be going up for preorder tomorrow! 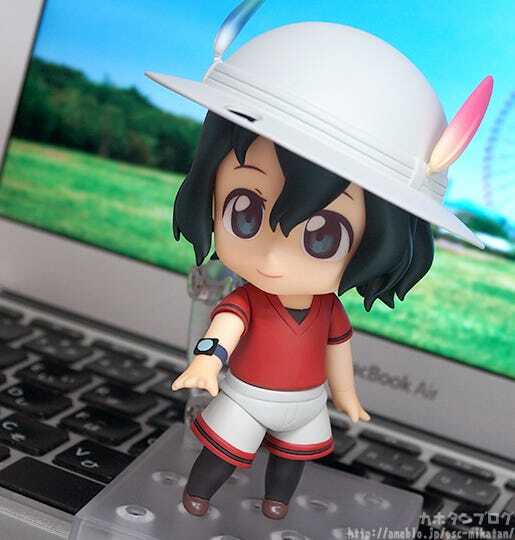 He can even wear Nendoroid Kaban-chan’s hat! If you consider this wearing! 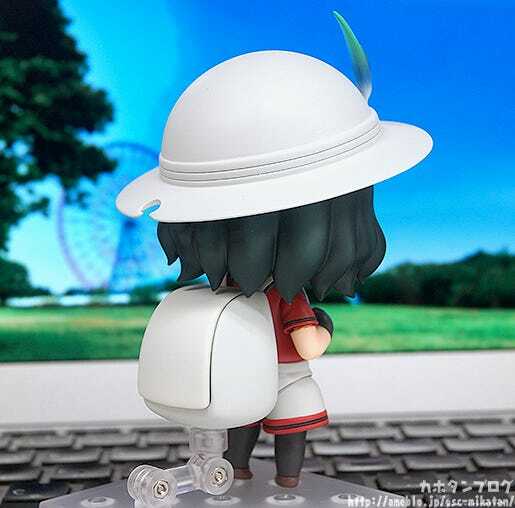 See the AQUAMARINE Official Site or Good Smile Company Official Site tomorrow for more details!